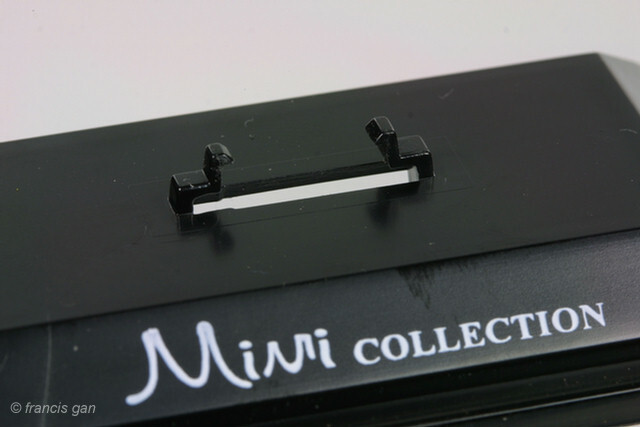 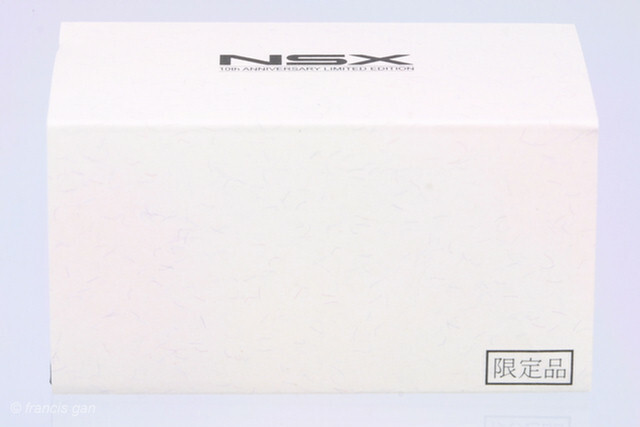 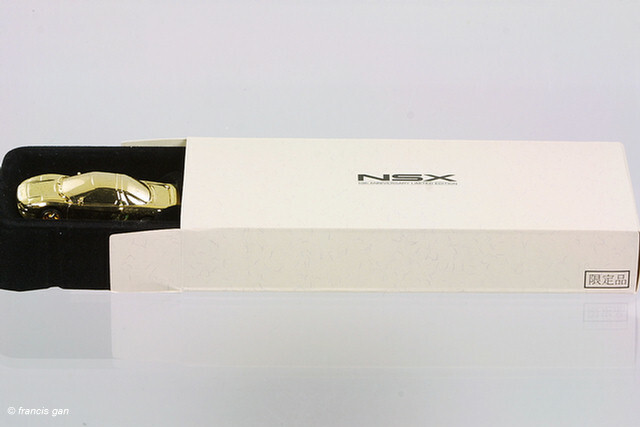 These Mini Collection NSXs are impressively packaged in a clear case with black base. 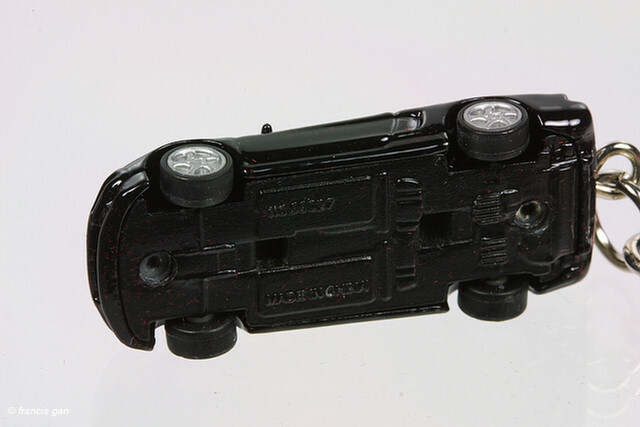 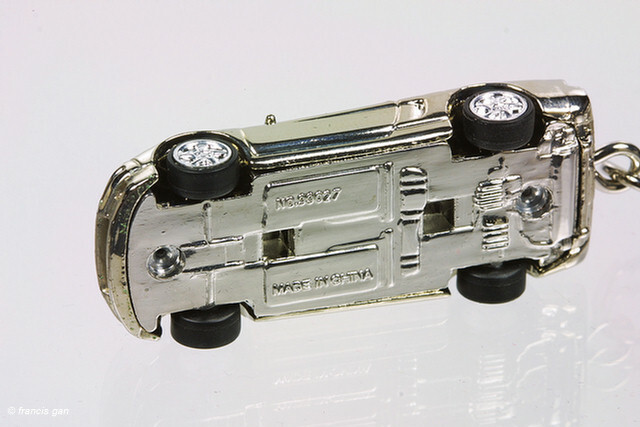 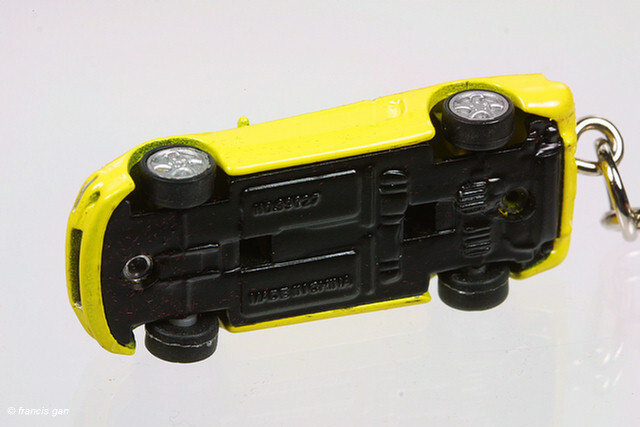 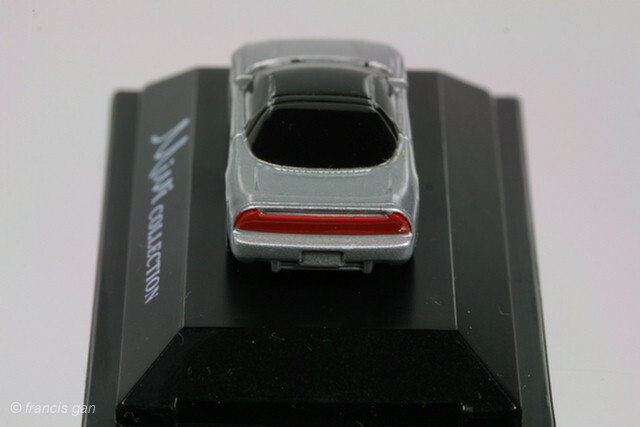 There is no interior detail as the windows are painted a solid silver or grey - depending on the body color. 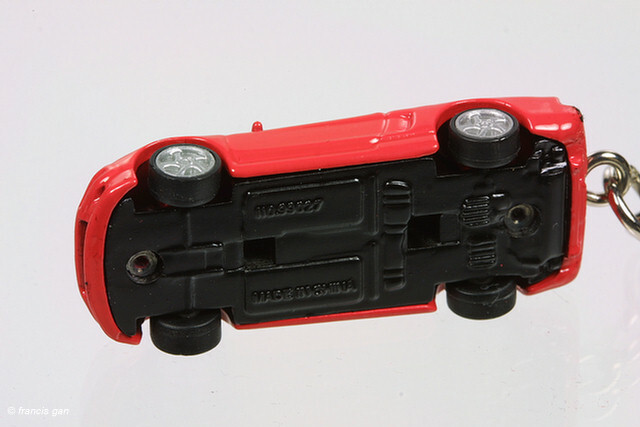 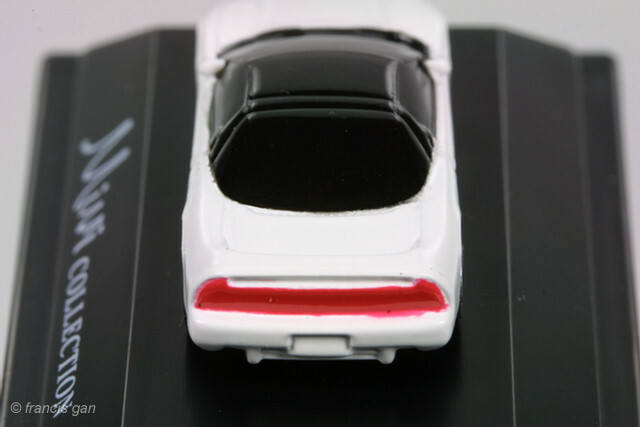 The tail lights are either silver or red depending on body color as well. 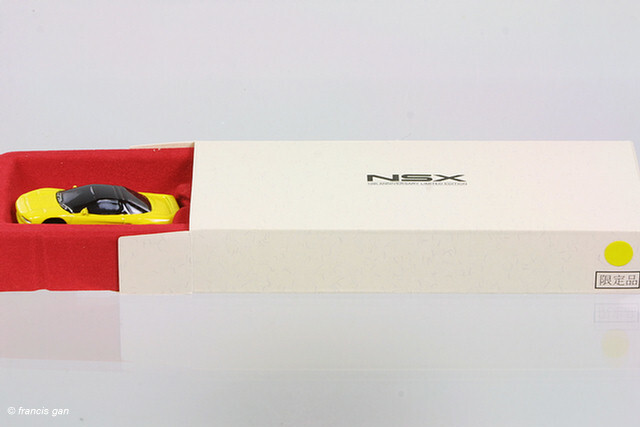 This is a Limited Edition (600 unit) special of the NSX-R with special card. 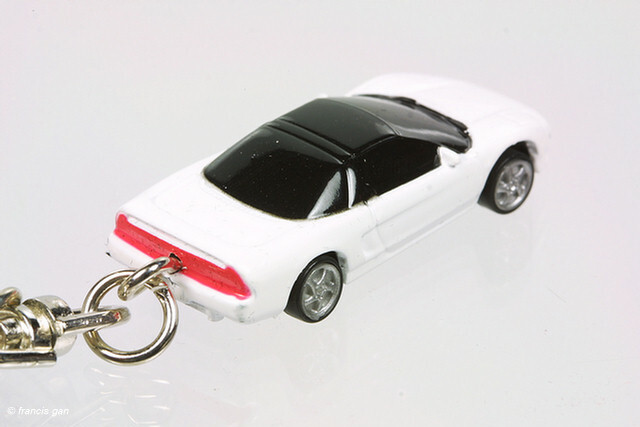 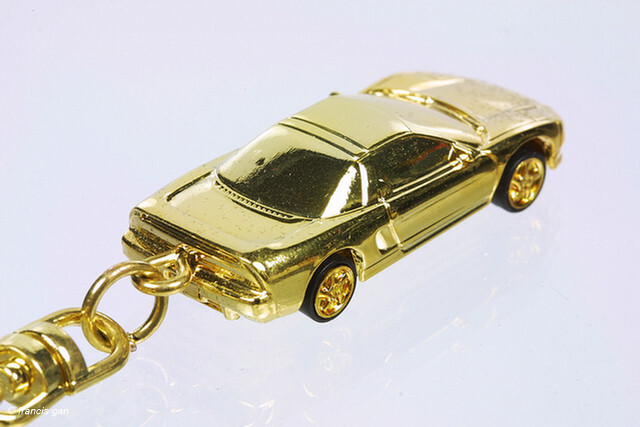 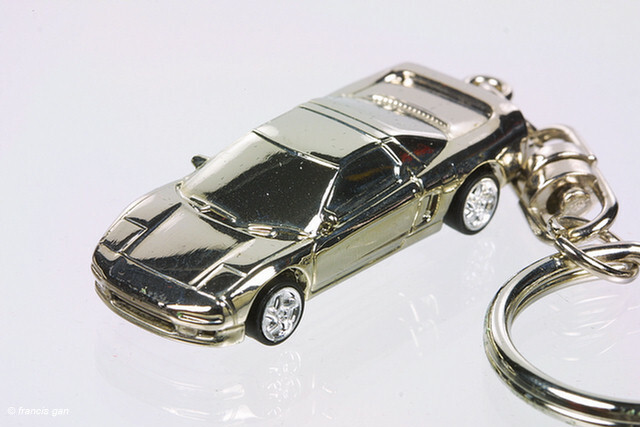 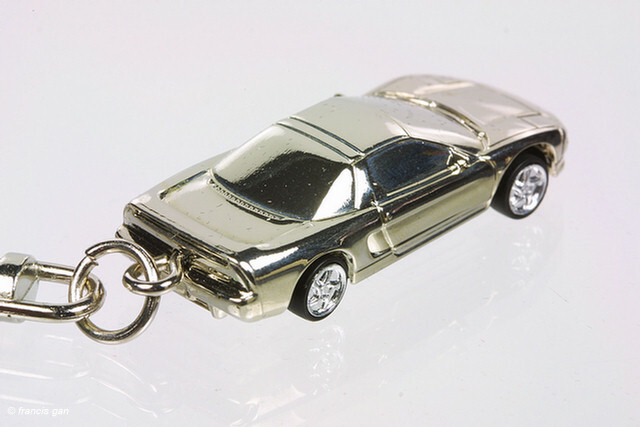 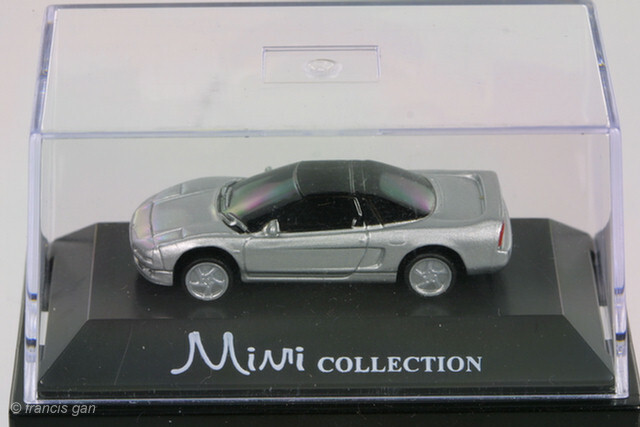 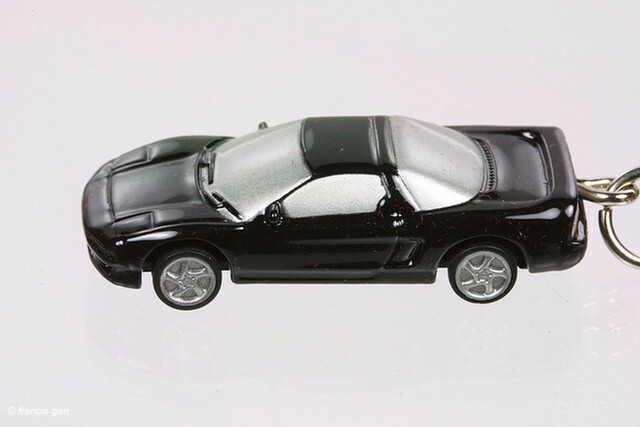 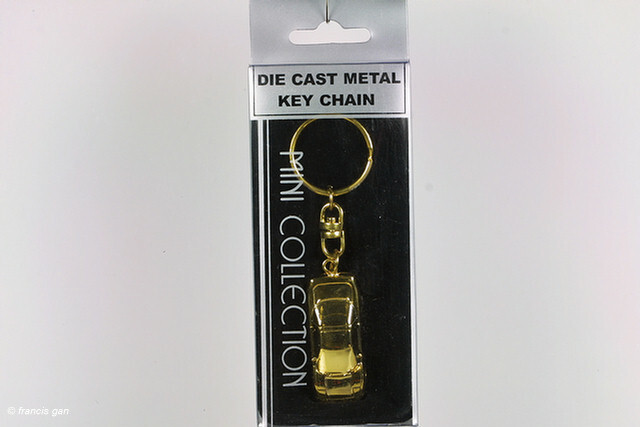 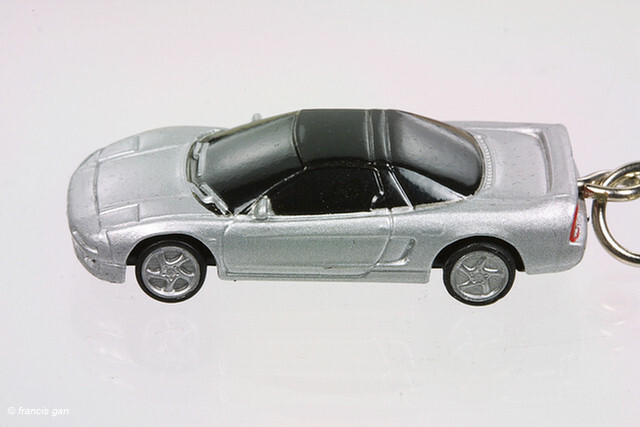 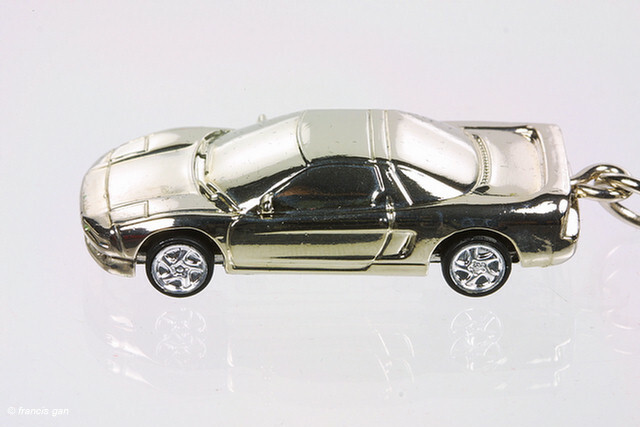 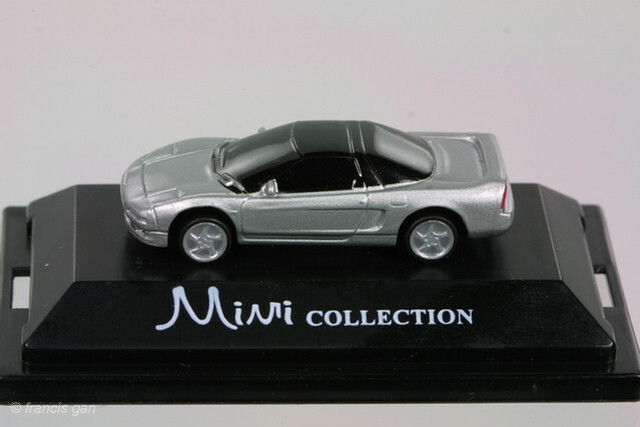 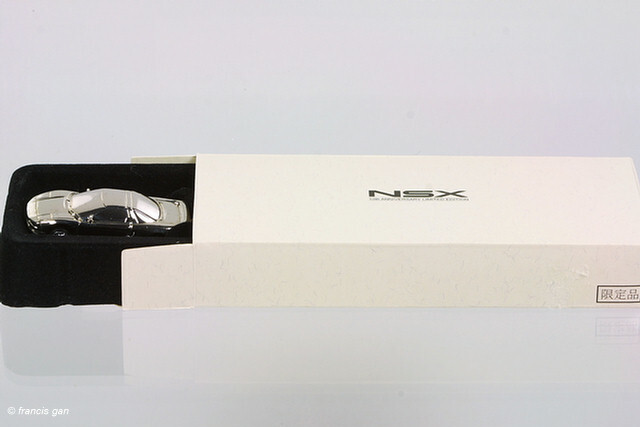 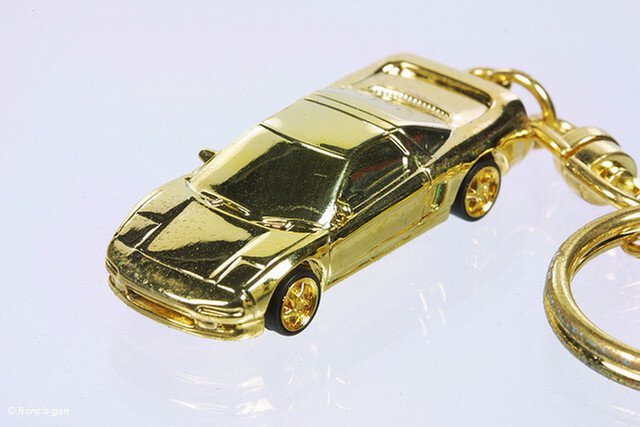 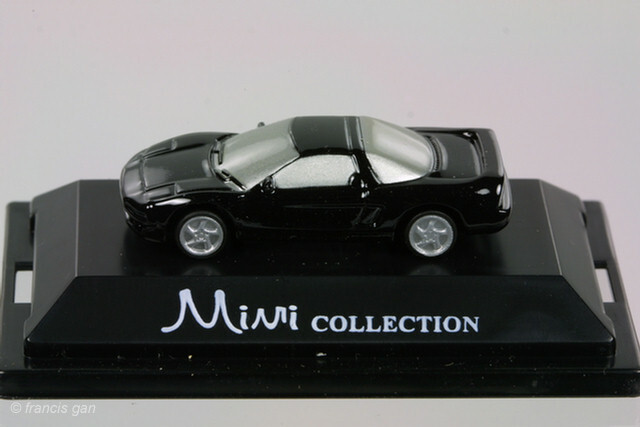 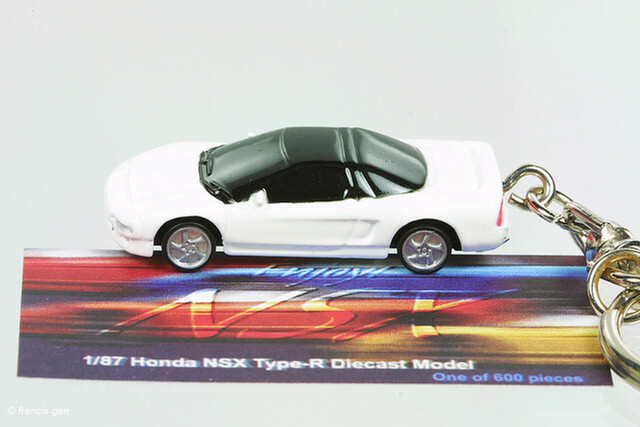 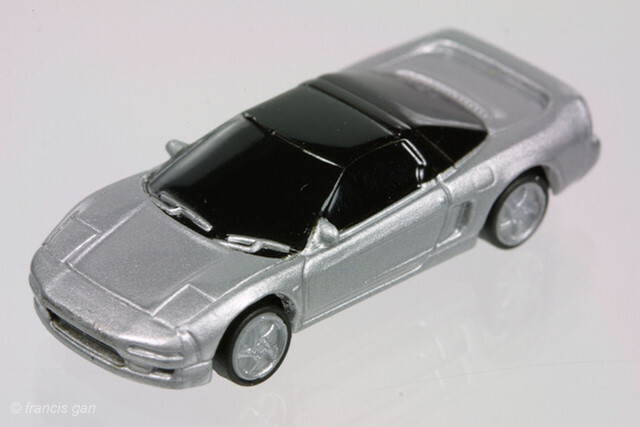 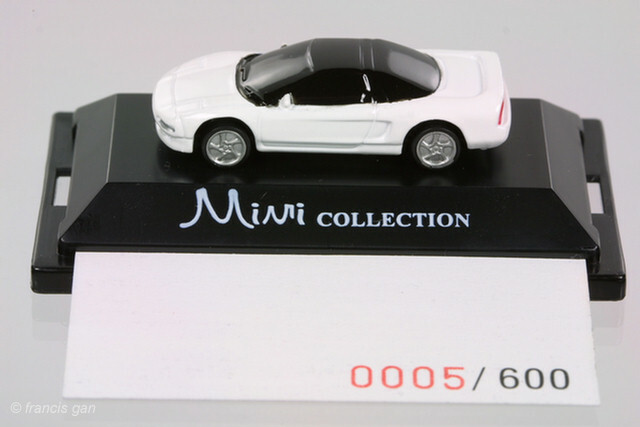 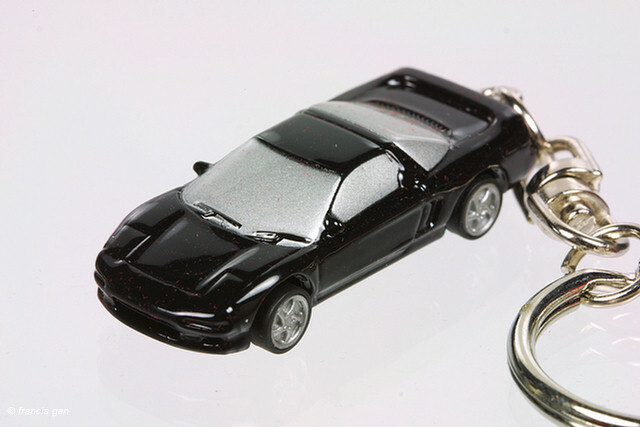 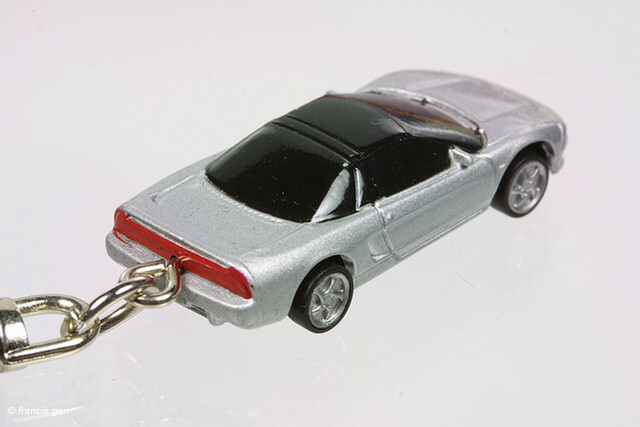 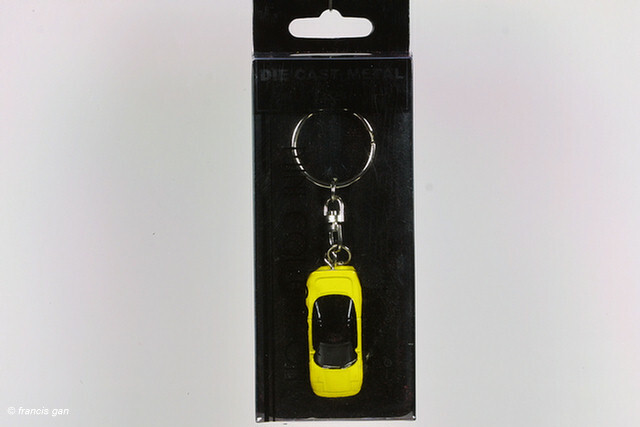 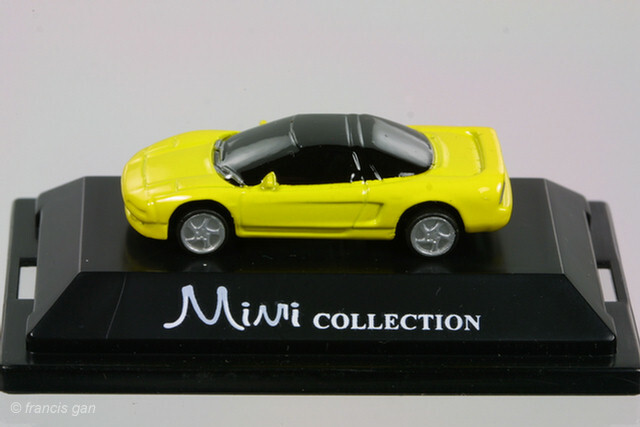 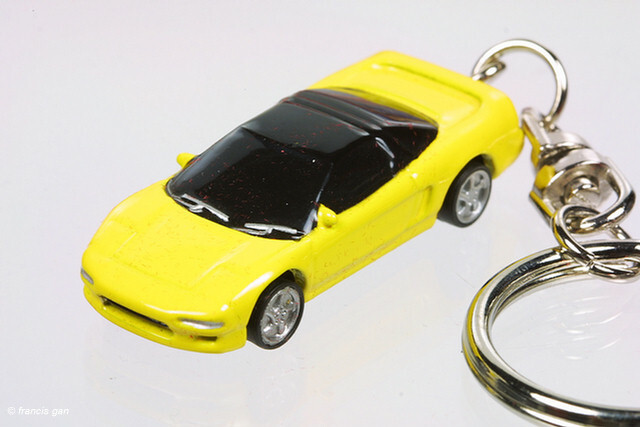 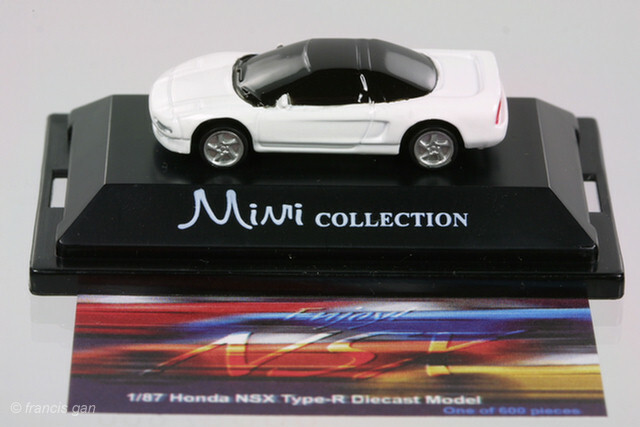 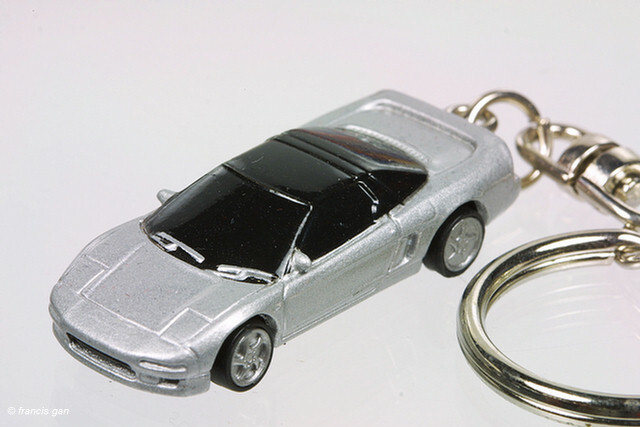 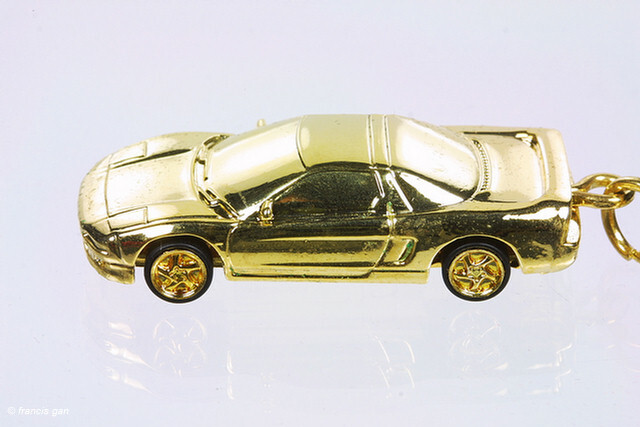 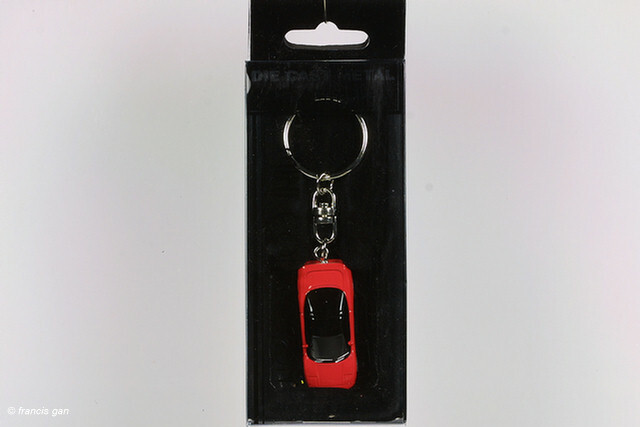 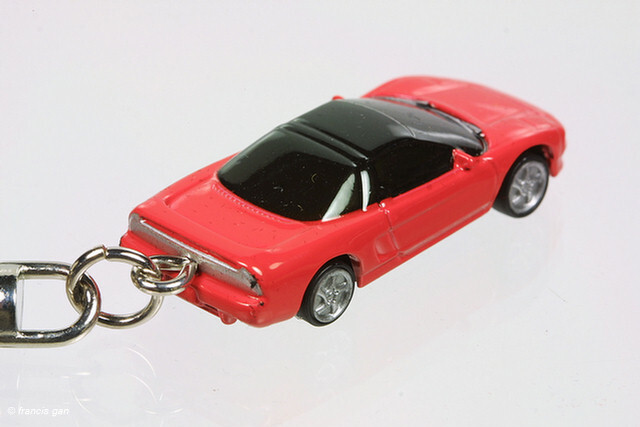 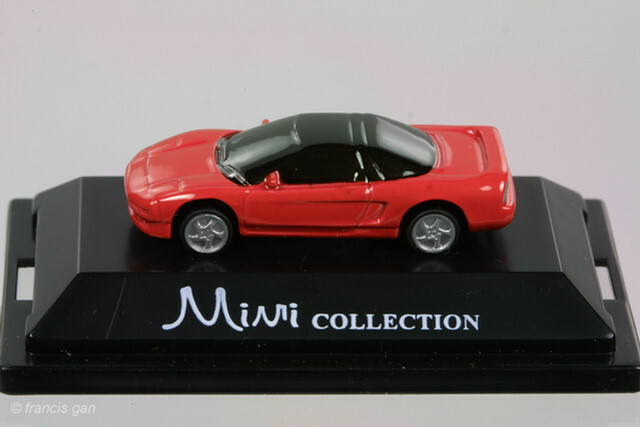 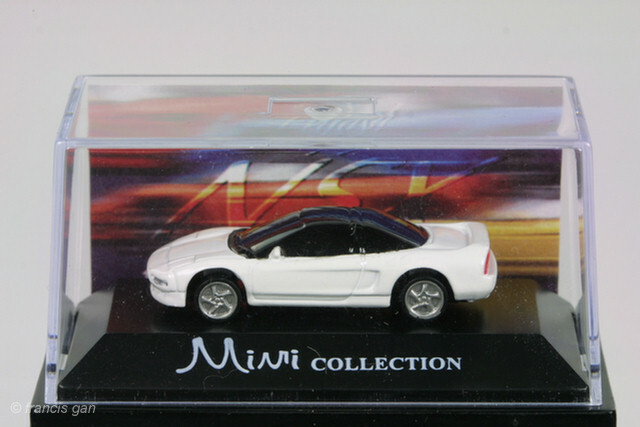 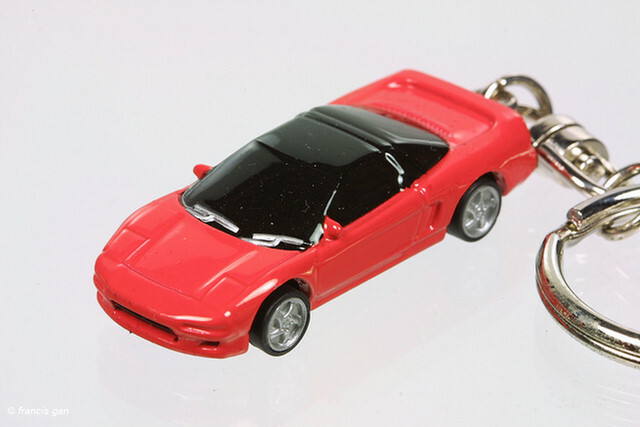 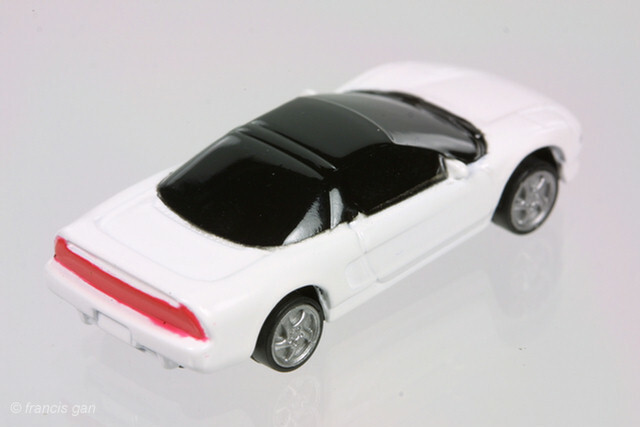 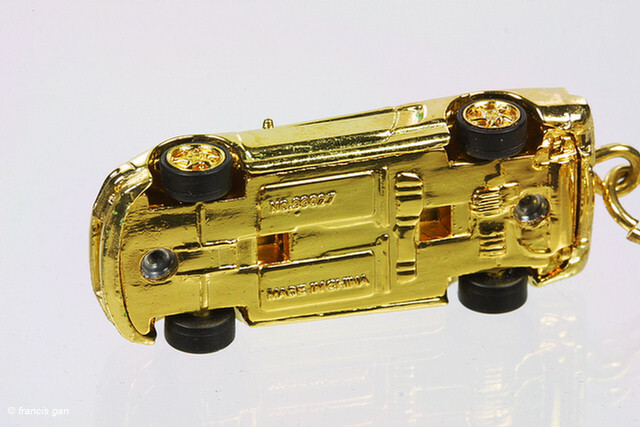 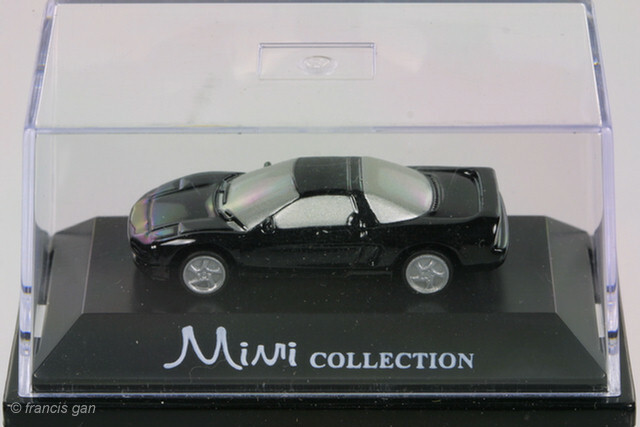 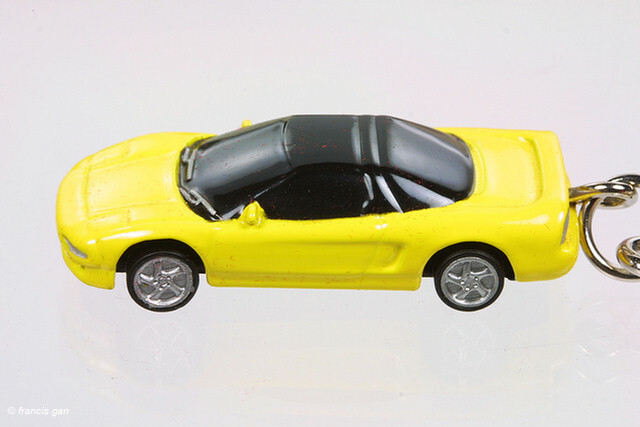 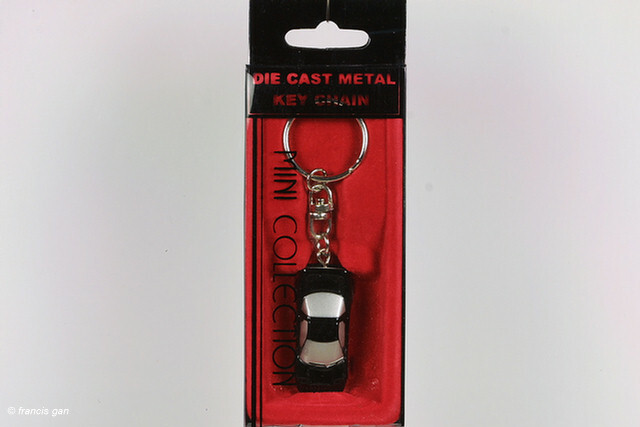 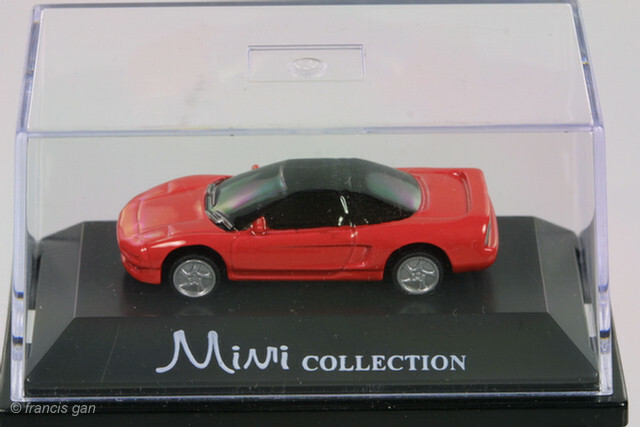 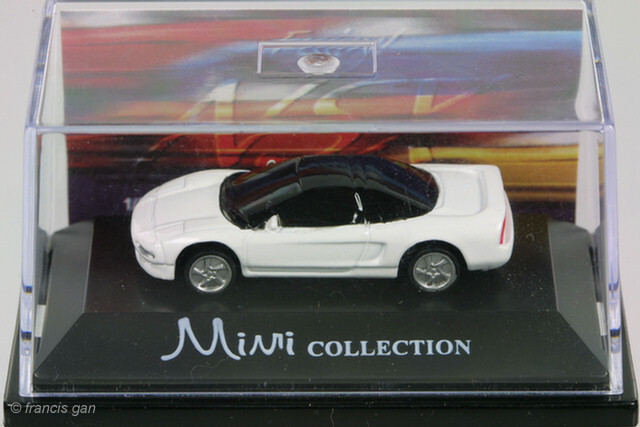 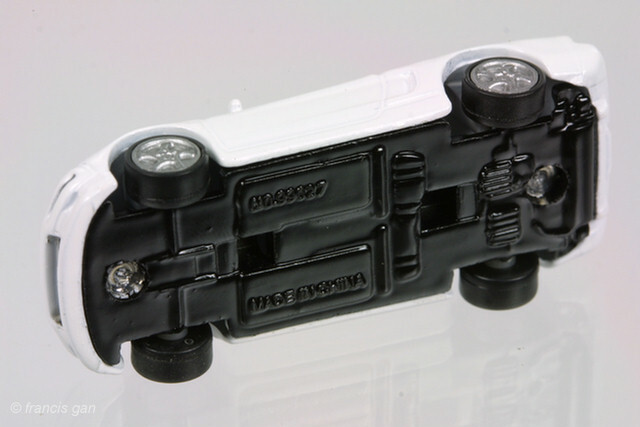 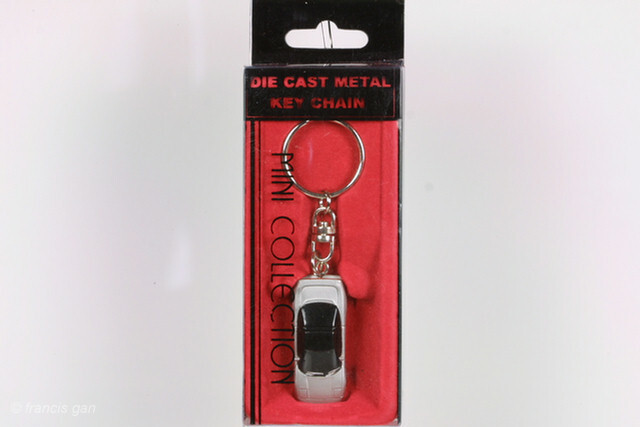 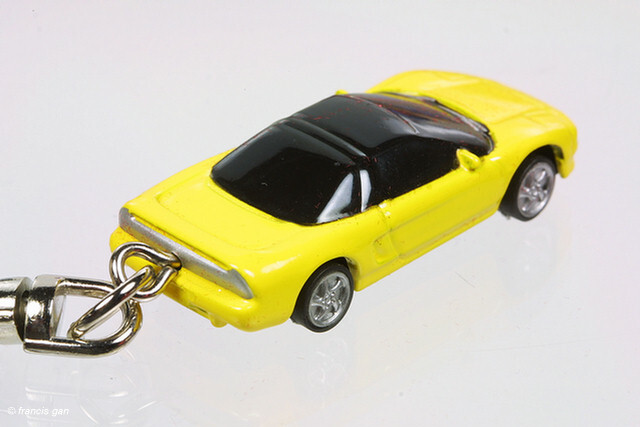 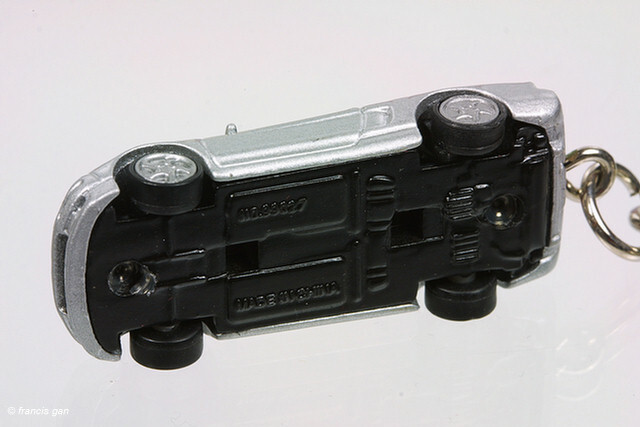 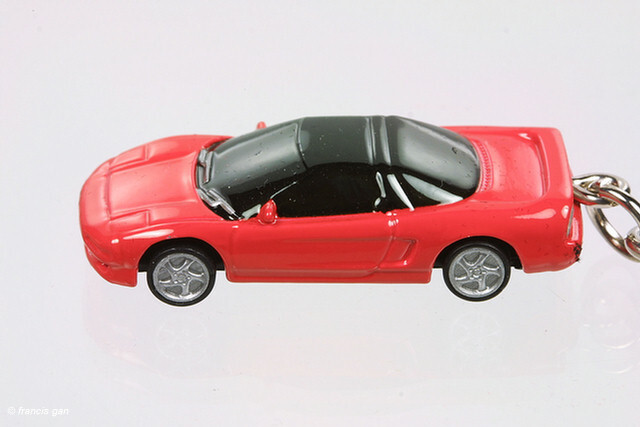 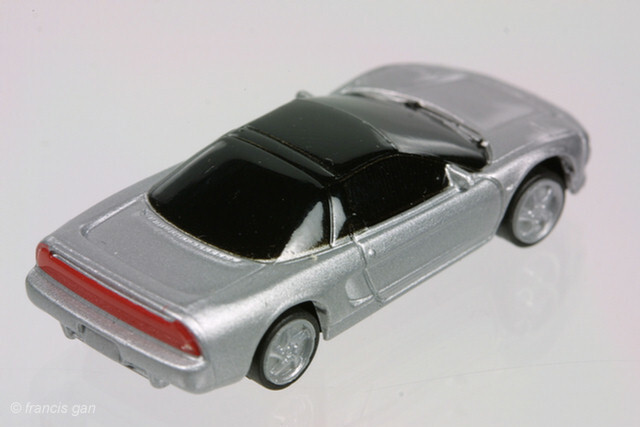 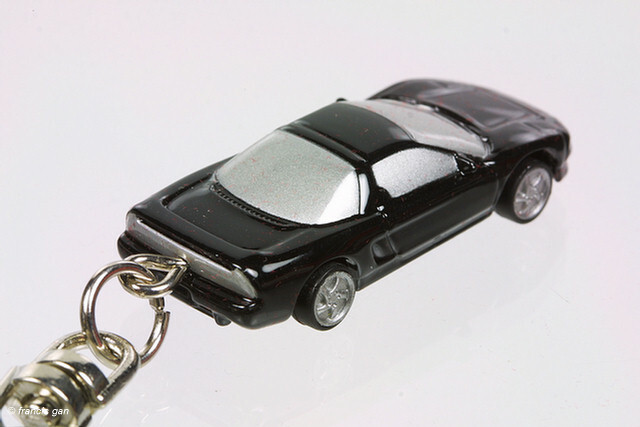 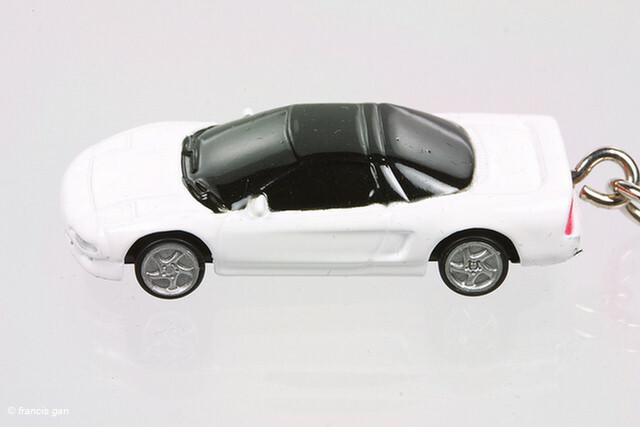 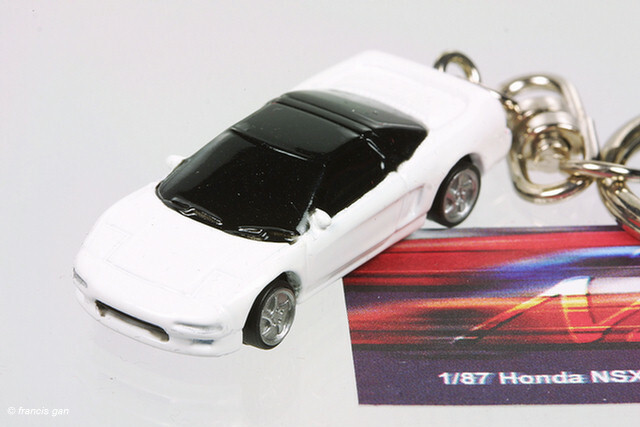 The Mini Collection NSX's were also available in keychain form - boxed generically as well as in white NSX logo'd boxes. Honda boxed versions came in a very nice Japanese paper boxes, though with the same insert as the regular versions. 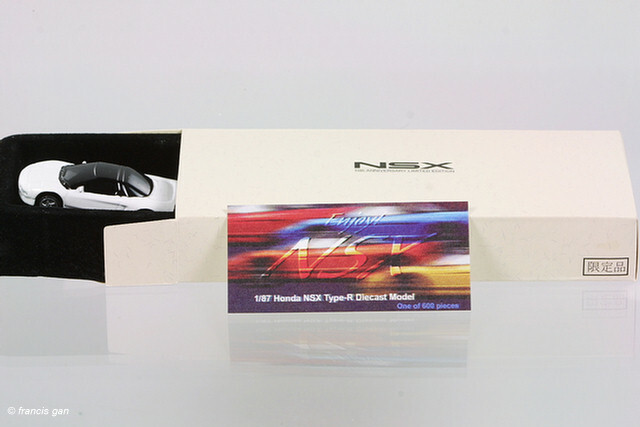 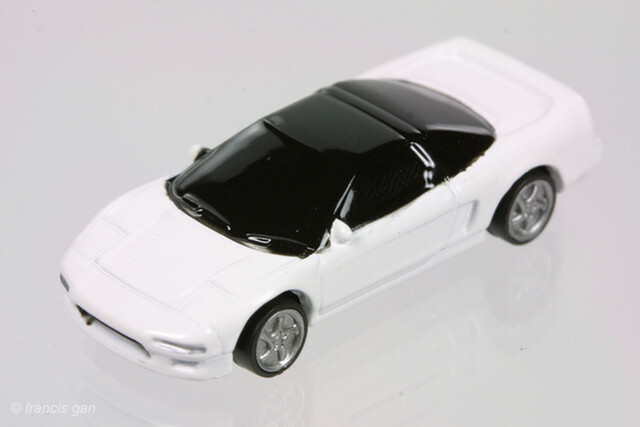 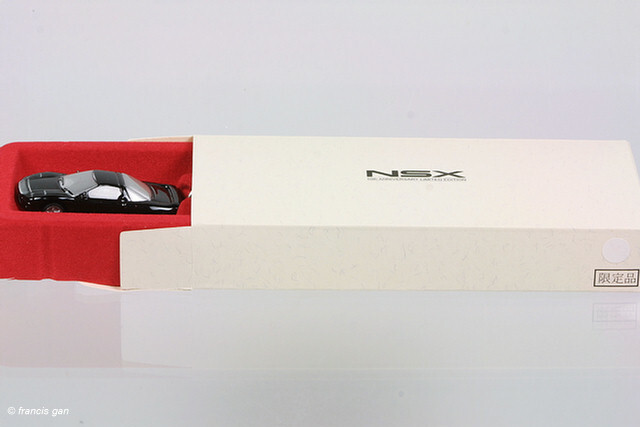 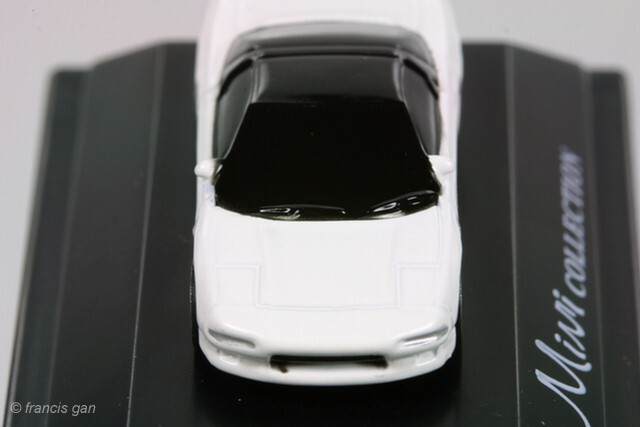 In addition, the white NSX-R version was only available Honda boxed and with a limited edition certificate/card.